My first conference was in Linz, Austria. I knew the city already from last year, when we passed through on our Interrail adventure. Its winter atmosphere was totally different, though. I was reckless enough to take my bicycle on this mission, something it afterwards never really recovered from... Still, the experience of riding along the snow-covered Danube trail was something not to be missed. 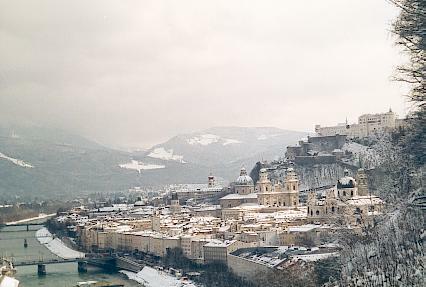 I also visited Salzburg on this trip (by train, of course). After completing the Spring School on Intelligent Data Analysis in Palermo, I was joined by Krista for a weeklong Easter trip in the Sicily countryside. 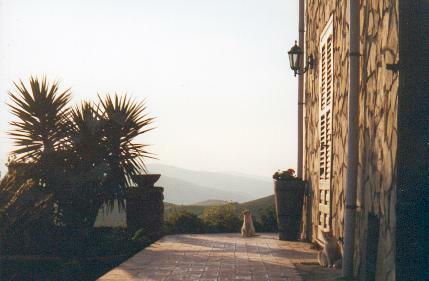 We based ourselves in the rural village of Alia, at a cosy azienda called Villa Dafne. The language was a bit of a barrier, but the food and the surroundings where excellent. We made day trips to Agrigento, Monreale, Enna and Cefalu. 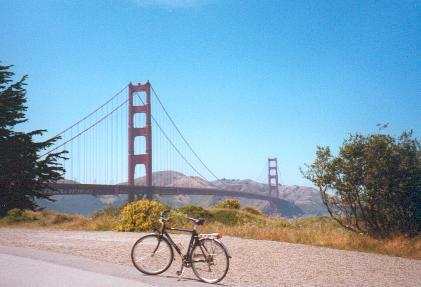 The ICCS conference in San Francisco was my first overseas event, and my introduction to the United States. 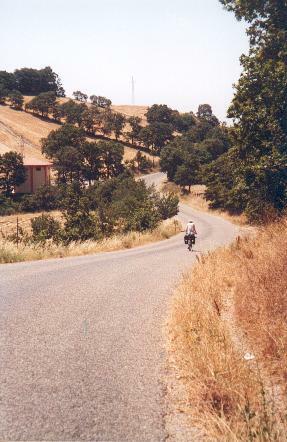 I took my brand new bicycle on the plane for this trip, and made an astounding trip to Sacramento, the Sierra's (where I participated in the Sacramento Wheelmen 100 mile ride), San Jose, Santa Cruz and Monterrey, camping and hostelling along the way. By extra-ordinary chance, in an out-of-the-way place I met a guy from my home town, thousands of miles away from home! He relieved me from the heavy conference proceedings volumes which I had been carrying in my bike panniers all along. More pictures and details are available here. 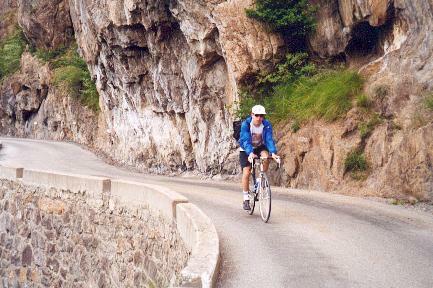 Throughout the spring, I had been training for the "Marmotte": an international, annual cycling event in the Alps that includes 4 Tour de France mountains (Croix-de-Fer, Telegraphe, Galibier and Alpe d'Huez). The day of the ride, the weather was awful, with rain and close-to-freezing temperatures high up in the mountains. But this also meant relief from the scorching July sun. I surprised myself and my friends by finishing the 165km in less than 10 hours, earning me a silver medal. A bicycle is definitely an unusual, but worthwhile, means of transport to see a bit of Turkey. Leaving by ferry from Istanbul, we explored some of the countryside near the west Aegean coast. At one point, we were invited to the home of a retired miner who had spent his working days in Belgium. We visited some of the major historical sites in the area including Pergamum, Ephesus and Selcuk, and made a short side-trip to the Greek island of Samos, too. 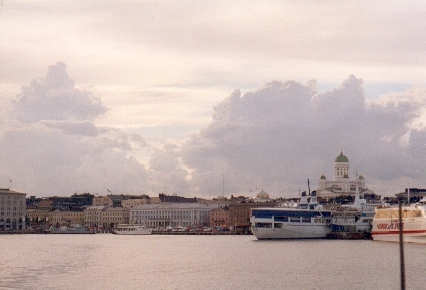 The 2001 European Summer School in Logic, Language and Information brought me to Finland's capital, Helsinki. Some careful planning allowed me to squeeze in a fair bit of cycling and hiking during my spare time. I visited Tampere, parts of Lapland, the house of composer Jean Sibelius, and even Estonia. Click here for a photo report. 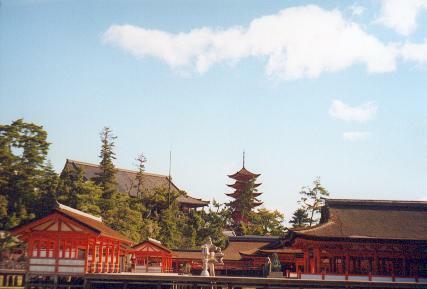 Another conference, this one in Osaka, Japan. The country is notoriously expensive and hard to navigate given the shortage of English speakers. Luckily the high speed trains ("shinkansen") give one the opportunity to see much of the country without too much hassle. I saw the sites at Kyoto and Nara, spent a morning in Tokyo, visited the "Huis ten Bosch" Dutch city theme park near Nagasaki, and -cynically- was informed of the 9/11 tragedy just after coming out of Hiroshima's moving peace museum. This year we spent the autumn break with our friends Yvan and Catherine in Dublin, a place all of us had been eager to visit for its cultural treasures. Our quest for a white christmas (and many other things...) brought us to Poland. Dividing our time between Warsaw and Cracow, we were able to savour some of the unsuspected royal grandeur of this country (apparent in palaces and churches), some of its post-communism woes and some of its great food.